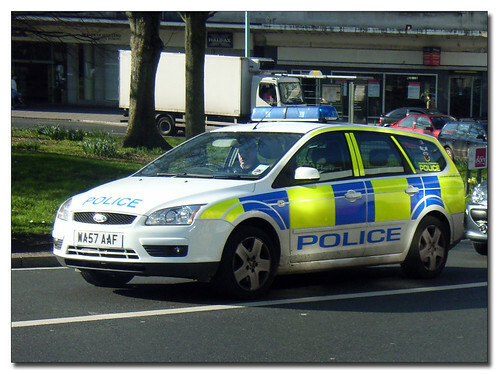 I have not managed to get many photos of police cars as often they are moving at fair speed, and also with many photographers having problems with police these days I try to be discreet when I grab a shot like this. 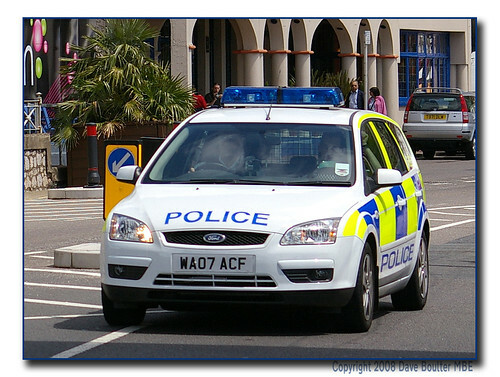 I have only been asked once by a policeman what I was doing, and he was very friendly and more than happy for me to continue. Many other photographers have not been so lucky! Back from 2001 at the Crash Rescue Competition. 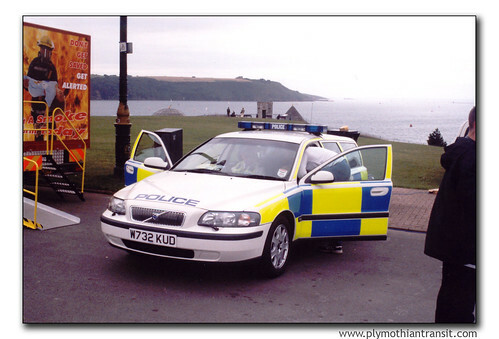 In a nice coincidence Dave Boulter MBE who was at the 2001 event supplies the next photo of a Devon and Cornwall Police Car, this time in Torquay. The 2001 event also features in the collection which I am looking forward to seeing as I hope to make an appearance myself- well I was there anyway so you never know. I have decided to make them available at only a small cost (as a token contribution towards defraying some of my past expenditure and current reproductive costs) in an absolutely ‘no frills’ package. Plain labelling of the disc and no fancy packaging, letting instead the content of each disc speak for itself. Originally recorded on VHS and now transferred to DVD, each one-hour disc will retail at £9.99p plus a nominal £1 post and packaging by ordinary mail. Recorded post is available at the appropriate rate. Turnouts & Incidents! Part 1 is a special 90-minute programme costing £12.99 plus £1 p & p, as is Horns & Strobes! Part 11 which lasts for 92 minutes. In the unlikely event you are not entirely satisfied with your DVD a full refund will be available.